This beautiful, ¼-scale Plug-N-Play version of the Super Cub has been expertly modeled in stunning detail. A full complement of metal gear Spektrum digital servos drive all control surfaces. The included Evolution 33GX gas engine is ready to bolt into place and includes an in-cowl exhaust system. Add the optional float set to experience great flight performance off of land or water. 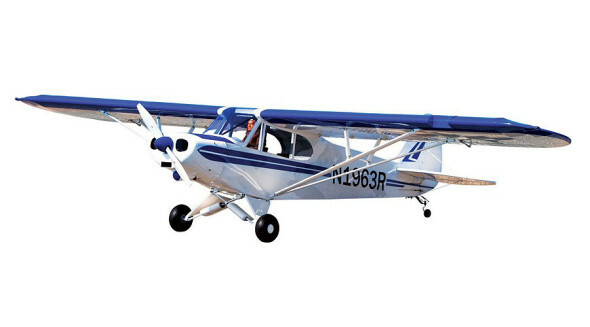 Functional flaps give the Super Cub the same amazing short-field takeoff and landing abilities as the full scale aircraft. All that is required to complete this PNP kit are a seven+ channel radio system and receiver and ignition batteries. Next Estes Proto X Nano Quadcopter – New Colors!